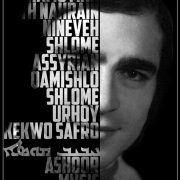 Born in the birth place of civilization, the land that gave humanity; culture, literature, science and music. 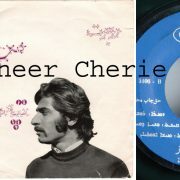 A family of five brothers born in Beth-Nahrain, modern day Iraq. 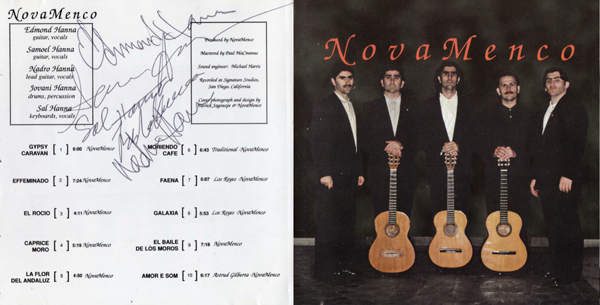 Nova Menco: The international renowned five Assyrian brothers flamenco Band, based now in San Diego. 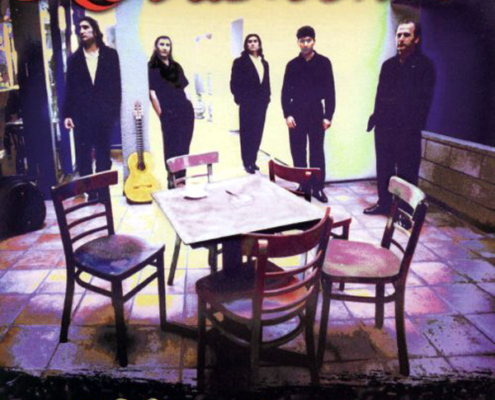 This Assyrian family of musicians with their modern flamenco style fuses together Jazz, Pop, and ancient Byzantine echoes of Mesopotamia to Sevilla, Lisbon to Ibiza forming a unique blend of Jazz and soft Mediterranean grooves. 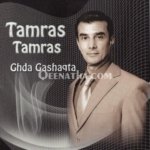 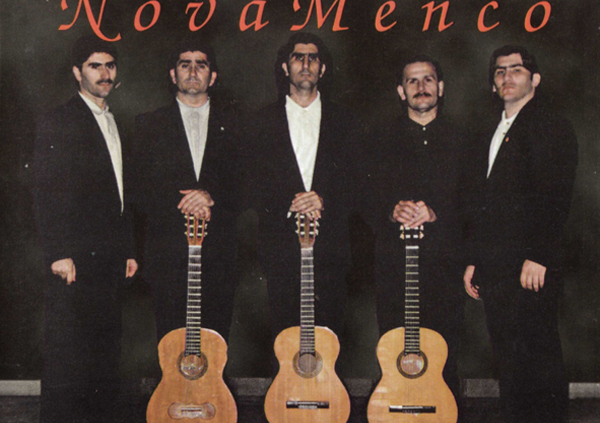 Their style is similar to the Gipsy Kings. 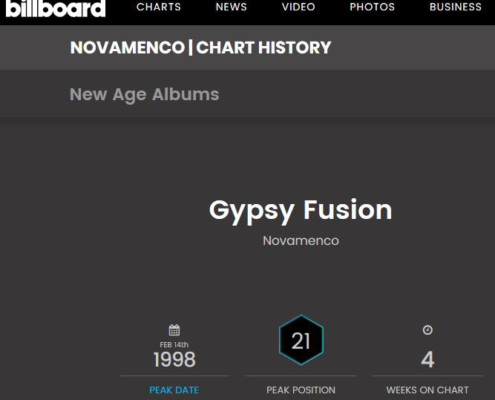 So far releasing four albums, one released in Spain, and three in US, their Debut album was self titled “Nova Manco” (10 tracks, unknown date), then came: Gypsy Fusion 1997 (12 tracks which landed in the 1998 billboard charts), Flight to Paradise 1998 (12 tracks) both albums self-produced for Botanie Music & dedicated to their parents Mari and Paulus a fourth album released in 2002 titled Fortune Teller, but this time with only three original members. 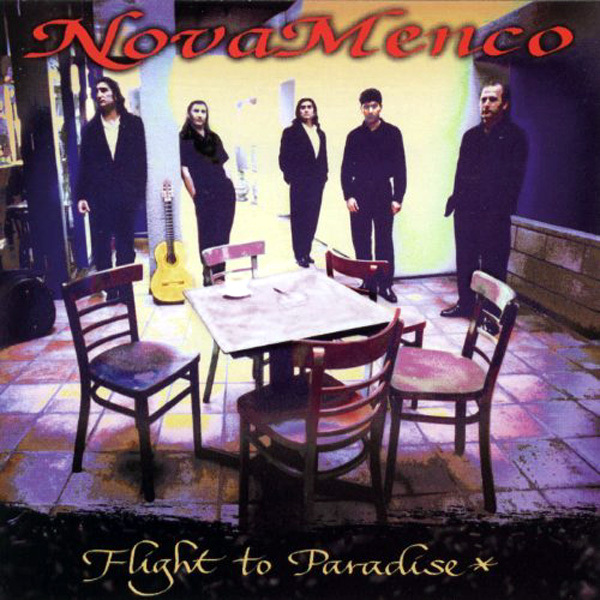 They moved to San Diego in 1995, the brothers dubbed themselves NovaMenco, and set up shop to record and play across the United States and the world. 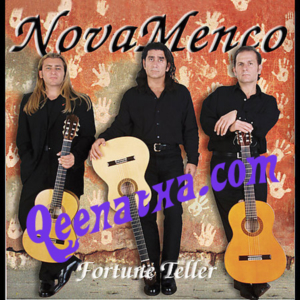 With their flamenco guitars flourishing on stage, NovaMenco craft an eclectic mix of tunes harboring a growing reputation for a crowd-pleasing show. 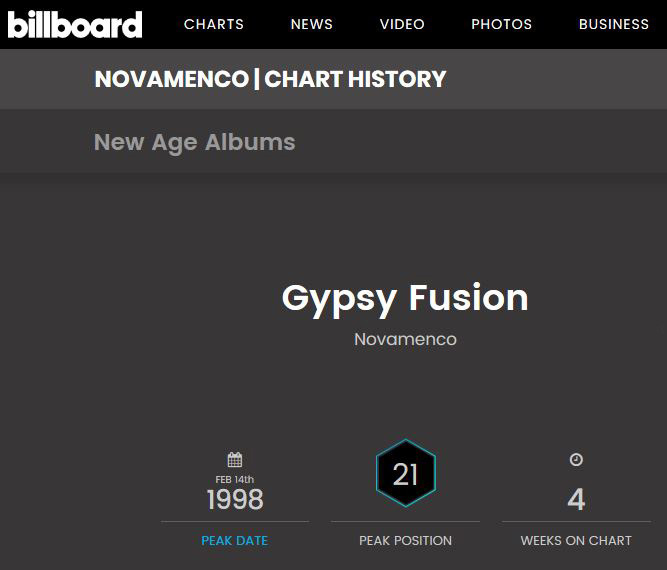 Ever since NovaMenco’s album landed in the 1998 billboard charts, NovaMenco has continued the innovations in Modern flamenco. 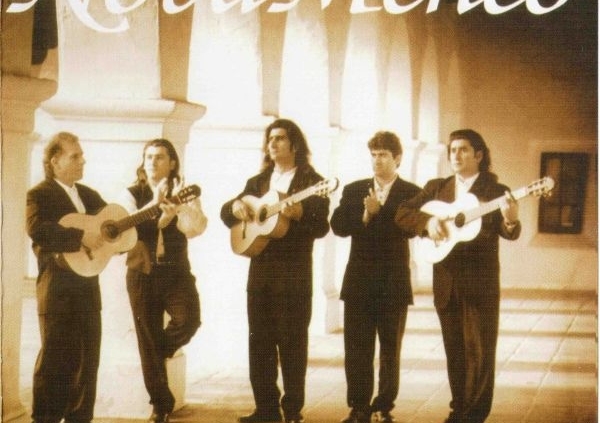 Their unique fusion of flamenco music has enchanted audiences everywhere. 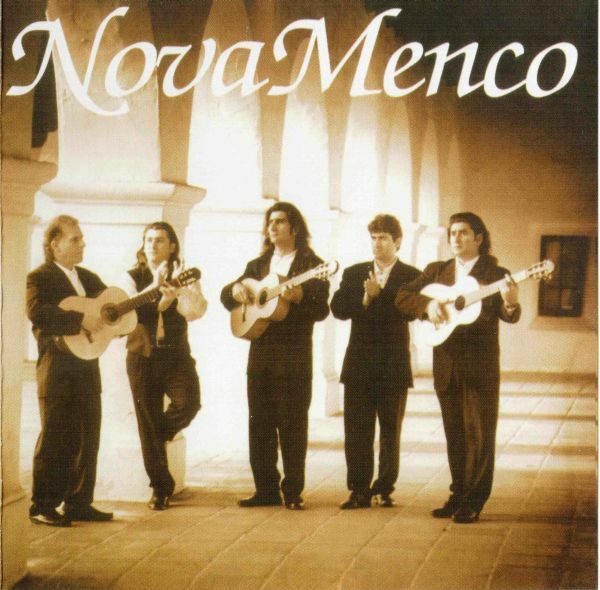 And with the addition of their nephew Gabriel, NovaMenco sounds richer and fuller than ever. 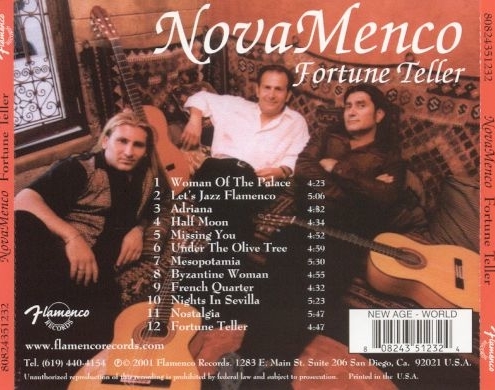 Every CD of NovaMenco is a real life experience and travels around the world. 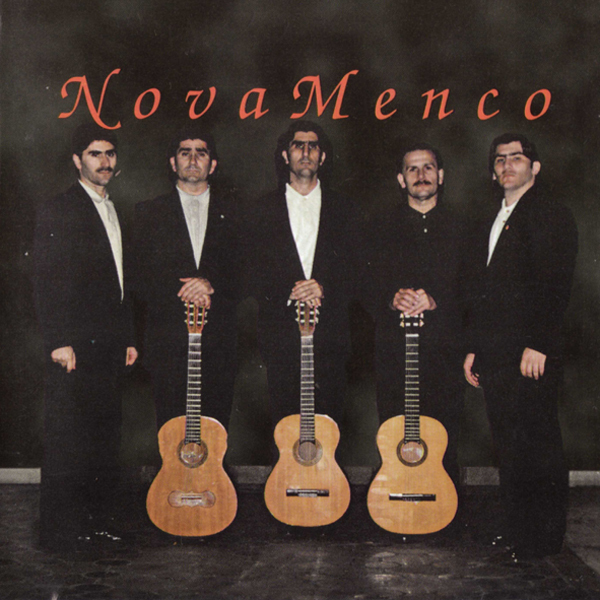 The music of NovaMenco is an attention-getting production with melodies said to evoke an air of distant Mediterranean lands with rhythms that exude feelings of liberation from this earthly existence. 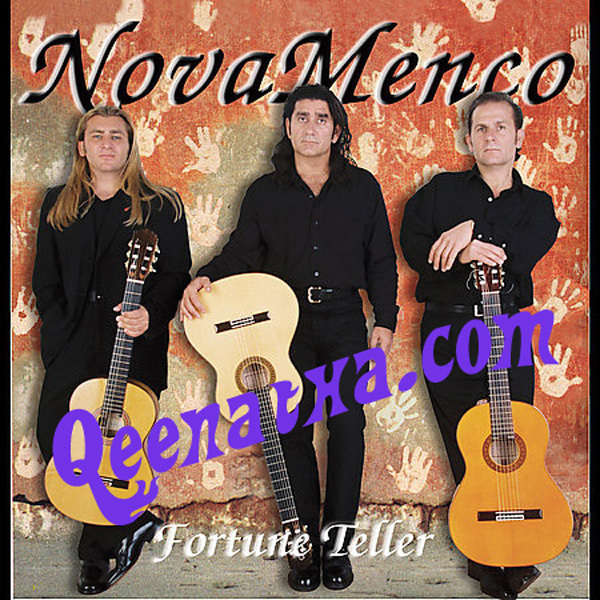 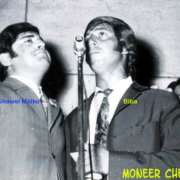 In 1999 two brothers left the band and founded another band named (Nadro John), while three remained and released another album titled “Fortune Teller in 2002 under the original band name “Nova Menco”. 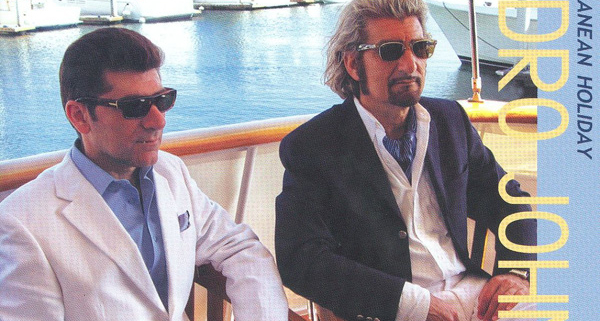 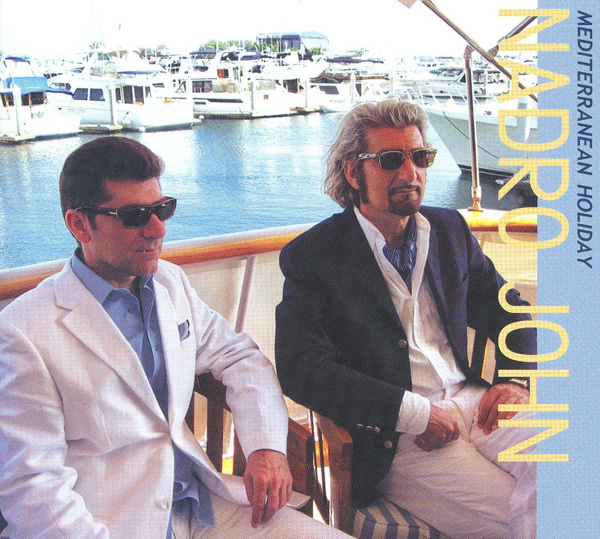 The two brothers (Nadro & Giovanni) formed a new band called “Nadro John” based in Los Angeles USA, and so far released two solo albums, one in 1999 titled “Escape to Venice”, and the second in 2009 titled “Mediterranean Holiday”. 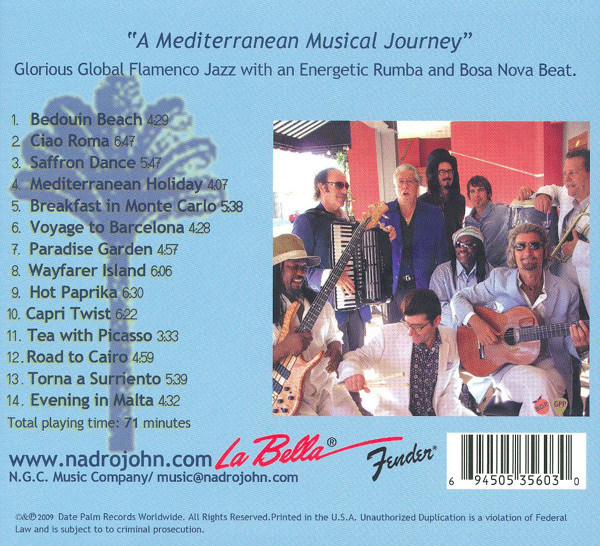 A fusion of Flamenco Jazz and Rumba, Nadro John combines the spirit and energy that spans from California to Italy, Montreal to Madrid. 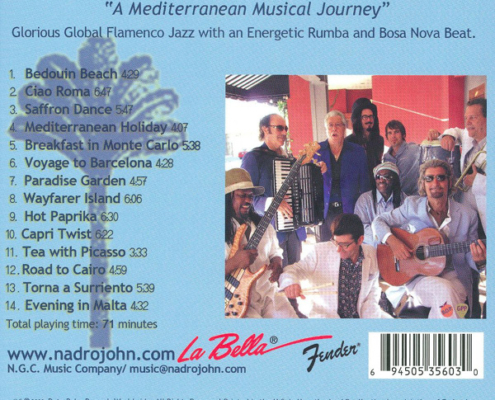 Discover the music and magic of Nadro John. 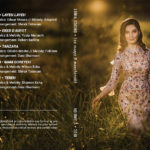 Track titled “When Elephants Fly”, from their “Escape to Venice”, album.